The best gift for a saxophone player or the best gift for a clarinet player is something that he or she can use. The right mouthpiece can do amazing things for a player’s sound and directly affect their confidence. A player, whether they be a student, amateur or seasoned pro can find a renewed love for the instrument when paired with the right mouthpiece for them. It can be difficult or next to impossible to pick out a mouthpiece for someone else. 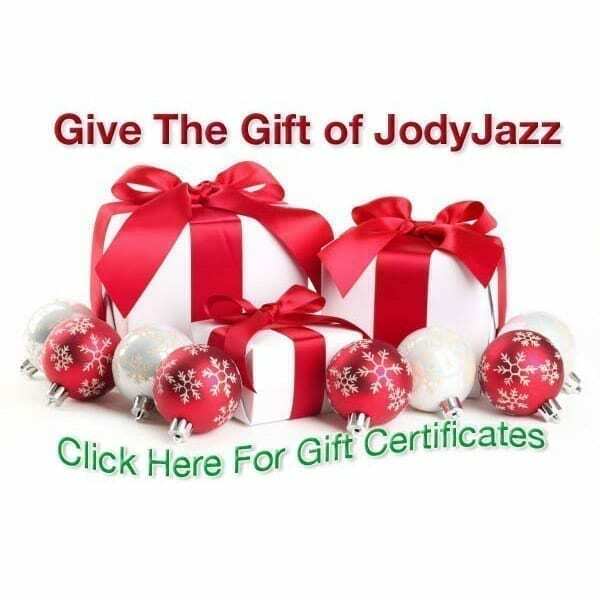 That’s why we’re offering JodyJazz gift certificates. Or, if you know enough about your loved one's playing habits you may be able to answer these 6 questions and we can help you pick the best mouthpiece for them. Remember, all JodyJazz mouthpieces are fully refundable* or exchangeable. My experience as a player, teacher, and mouthpiece maker helps me guide players through this confusing process. The best sax mouthpiece or the best clarinet mouthpiece for a player is the one that feels the most comfortable and allows him or her to achieve the sound that they desire with the least amount of effort. This means choosing the right facing and the right model mouthpiece. At any time during your visit to our website feel free to push the "6? 's" button. Your answers to these 6 questions will help me recommend the best mouthpiece or mouthpieces for you to try. My goal is to match every player with the perfect mouthpiece for them. Please feel free to ask any questions that you might have. I'm playing my dream mouthpieces, now let's see if we can find your loved one their dream mouthpiece. * Our normal refund policy is two weeks, but we can work with you if this is a gift. Please let us know any special circumstances.